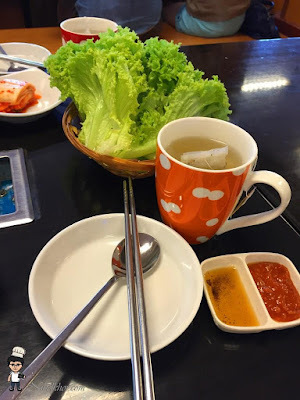 Lately, everything in Korean style are in vogue, Korean culture has landed in Malaysia in many aspects, from drama to fashion and definitely Korean cuisine. 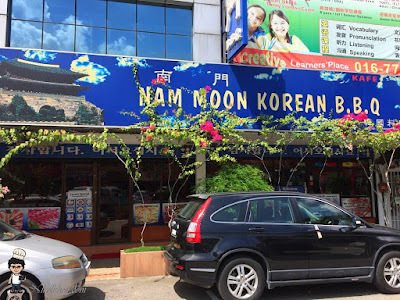 To blend ourselves into the Korean trend, we decided to have Korean Cuisine for lunch and Nam Moon, being one of the established Korean restaurants in Johor Bahru was our choice. 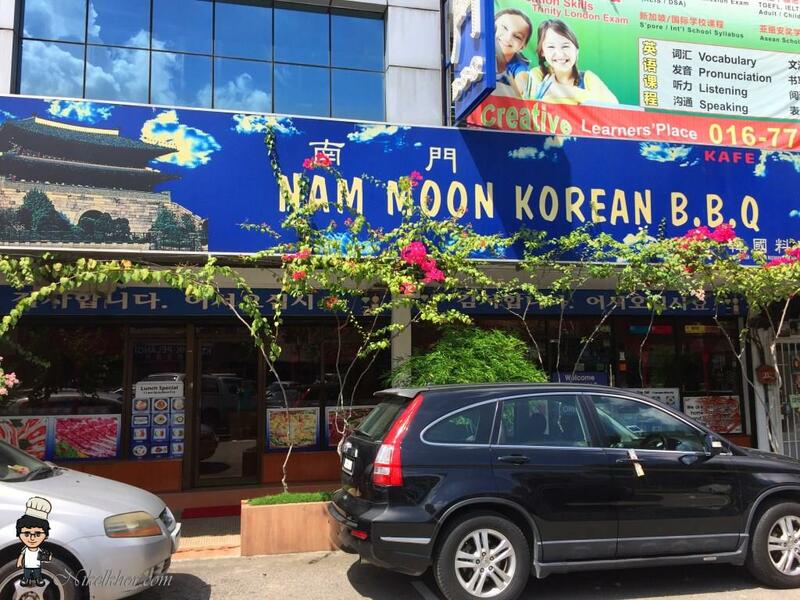 Nam Moon BBQ Restaurant is situated in Taman Pelangi, same row with Alliance Bank. The walkway in front of the restaurant is decorated with the flower arch, attempting to create the Korean garden style, but the flowers were obviously not thick enough (laughed out loud). Anyway, give them a big hand for their efforts. We order for a set meal for two pax, it was only RM 95. 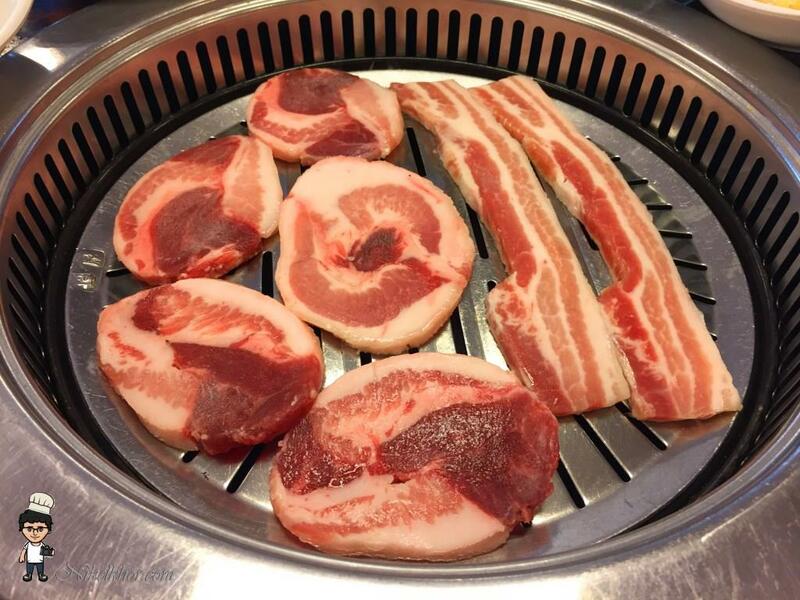 It consists of pork belly, pork shoulder, miso soup, seafood pancake. With the set meal, the side dishes are refillable. 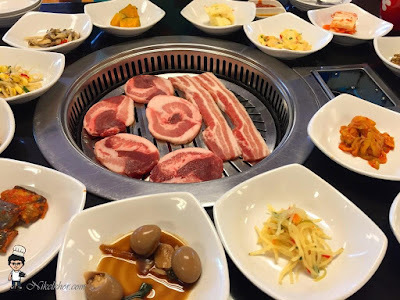 We were told that the side dishes are not refillable if you are going for their value set lunch, but their variety is great, even one round of side dishes has sufficiently fed two of us. Barbeque in the process. The pork belly and pork shoulder were marbling with the fat, which is sufficient for the barbeque process and no additional lard is needed. A family photo of the set meal. 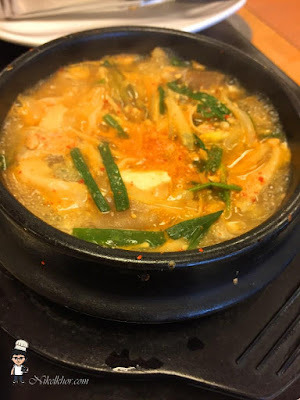 For me who does not like spicy, Miso soup is a better choice than Kimchi soup. I really enjoy the soup. Their seafood pancake was cut into eight pieces. 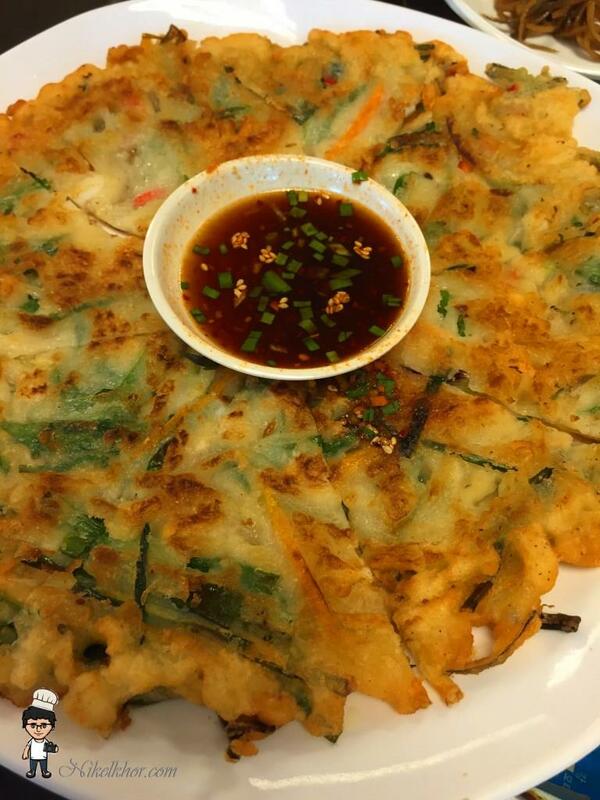 It was delicious too, where the outer was pan-fried to crispy, but the texture was springy. But, the portion is really too huge for two of us, ended we taking away more than half of it home as supper. Overall, it is quite a worthy meal and we trust the portion above can actually feed up to 4 pax if you are not a big eater.